Key downgrade. 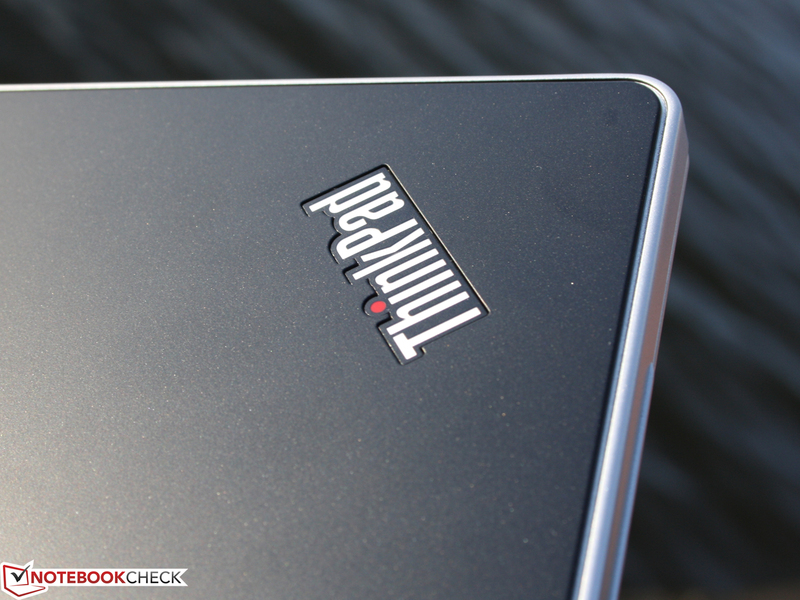 Lenovo tinkers around on its budget ThinkPad and gives the mini a matt screen as well as a new Athlon processor. However, we're taken aback in view of the 32 watt hour battery. Will the upgrade downgrade the previously very good mobility? 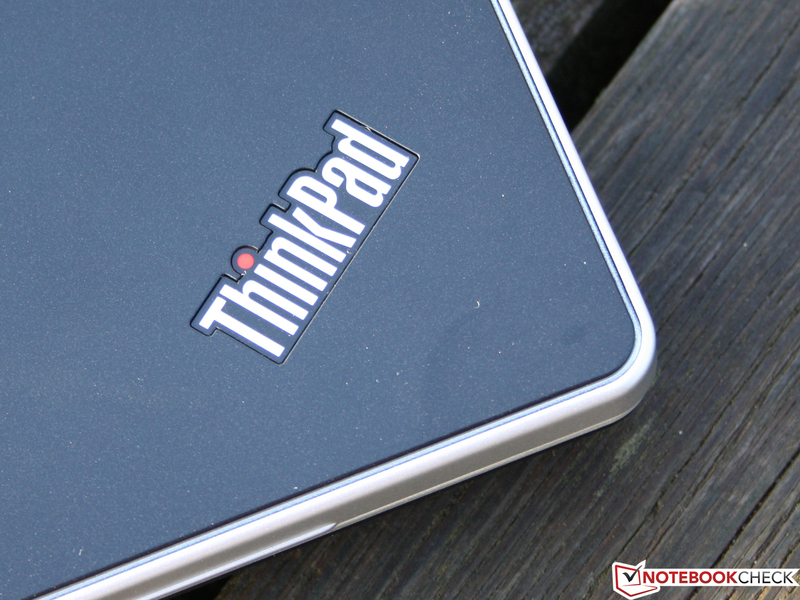 Lenovo IBM ThinkPad Edge 11 mit Athlon II Neo X2 K345: Is the low-end AMD alternative a real option for smart spenders? 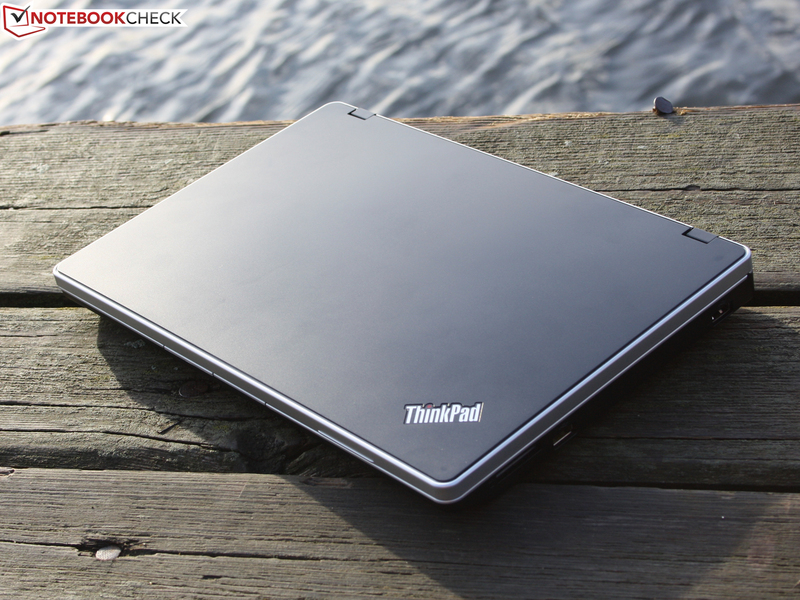 The first ThinkPad Edge 11 with an Intel Core i3-380UM (1.33 GHZ) struggled its way through our tests in November 2010. We were delighted about the viable application performance, the screen's high resolution and the extensive communication equipment (3G). The only thing that didn't evoke enthusiasm was the glare screen. The Edge 11 with AMD Athlon II Neo K325 (1.3 GHz) also followed in November 2010 and excelled the Intel version with a better battery life (low load). The reflective 11.6 inch display however was also a thorn in our side here. In the meantime, Lenovo has remedied the glare type problem and offers its Edge 11 in the Intel and AMD configurations with an anti-glare screen. Besides the expensive Intel version (starts at 536 euros), the aggressively priced AMD configurations with Athlon II Neo can be found. Our test device is the Black Smooth alternative with matt black surfaces. Price: starts at 369 euros. Which strengths does the new CPU have? Is there still a performance difference to the Core i3-380UM? Can the battery life of 5 hours be maintained? Will the matt screen be suitable for use out in the sun? This test update about the Edge 11 answers all these questions. The handy case doesn't try to attract attention with fragility. The weight of 1353 grams is average for 11.6 inchers. 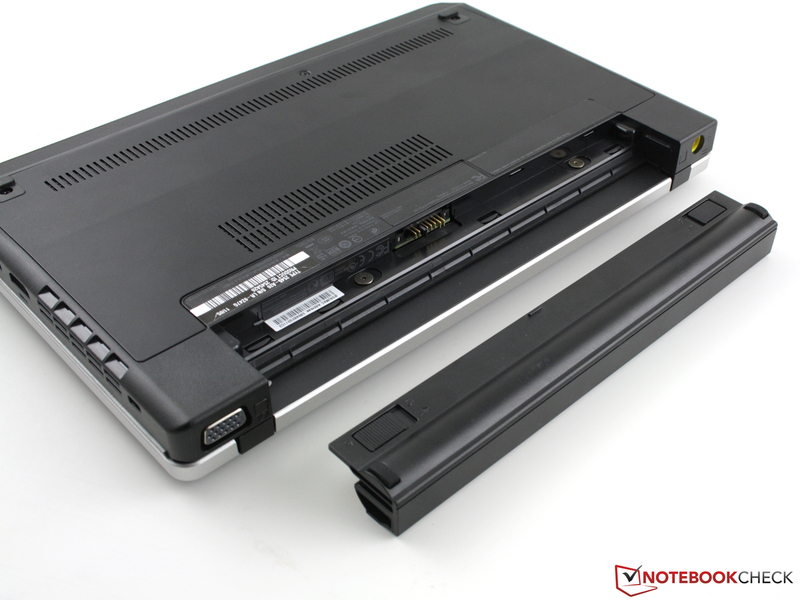 For example, the Aspire One 722 weighs 1400 grams, and a Vaio YB1S1E/S has a weight of 1431 grams. The angular case with rounded edges is bulky to hold and we clearly sense that we are dealing with a serious work device. Alike the 13.3 incher, the i-dot in both ThinkPad logos light up with a small red LED (permanent on / altering standby). Our model "Black Smooth" refers to the haptically non-slip but nevertheless smooth surfaces of wrist-rest and lid. To call them velvety would be exaggerated. It's more like light rubber that is mixed in the paint. This provides grip and prevents fingerprints to the largest extent. There is a small handle on the display's silver band to open the laptop. If you try to take hold of the lid in the center, you could accidentally pull up the touchpad keys as well. They close flush with the display lid and base unit. It seems as if the display is to be pulled up here because the gap between the moveable touchpad keys and the base unit are larger here than between the display lid and base unit. The plastic case bids very good pressure stability and the base unit's and display's torsional stiffness is excellent for this price range. The display bezel that yields when pressure is applied is a small flaw. The battery fits tight in the case. However, it leaves a gap above the keyboard when it's removed. The hinges are identical with the 13.3 incher's. The small metal hinges are mounted tightly on the case. They have a firm hold on the lid and it doesn't teeter. The wide opening angle of 180 degrees is perfect for such a small device. It allows you to see what's on the screen in tight spatial conditions. Both hands are needed for opening or increasing the opening angle due to the base unit's low weight. There is no transportation fastener (latch). Small objects could penetrate and damage the screen since the lid opens a few centimeters. 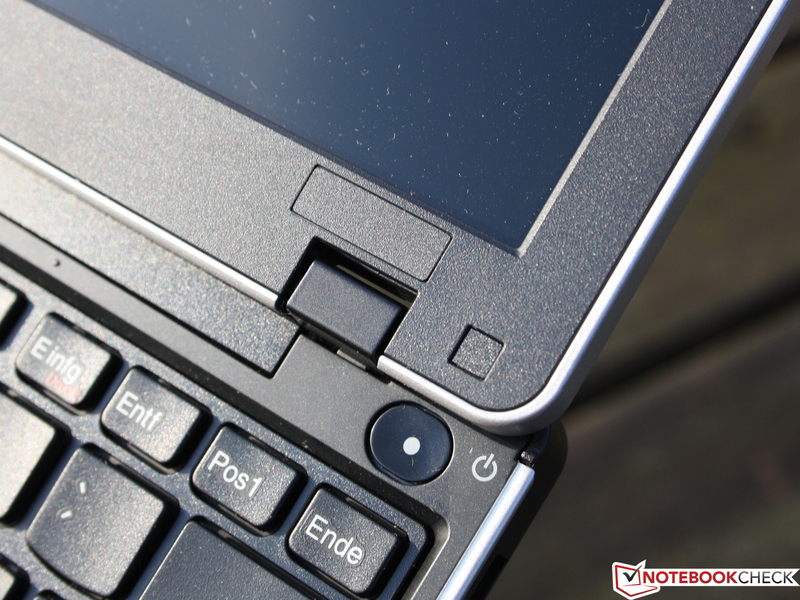 While these latches have disappeared in consumer notebooks, many business laptops still have one. In contrast to the first Edge 11 test devices (Intel and AMD alternatives), no modifications have been made among the interfaces. VGA and HDMI are still installed and the one or other may still complain about the lack of a docking port. Even the innards have remained unchanged with the Realtek LAN card (RTL8168D/8111D) and a draft n WLAN card from Lenovo (ThinkPad 1x1 11b/g/n wireless LAN). Bluetooth 2.1 is again onboard. It is still aggravating that only the Intel version is available with an integrated UMTS/HSDPA module (starts at 690 euros). Nothing has been touched where no improvements are needed. 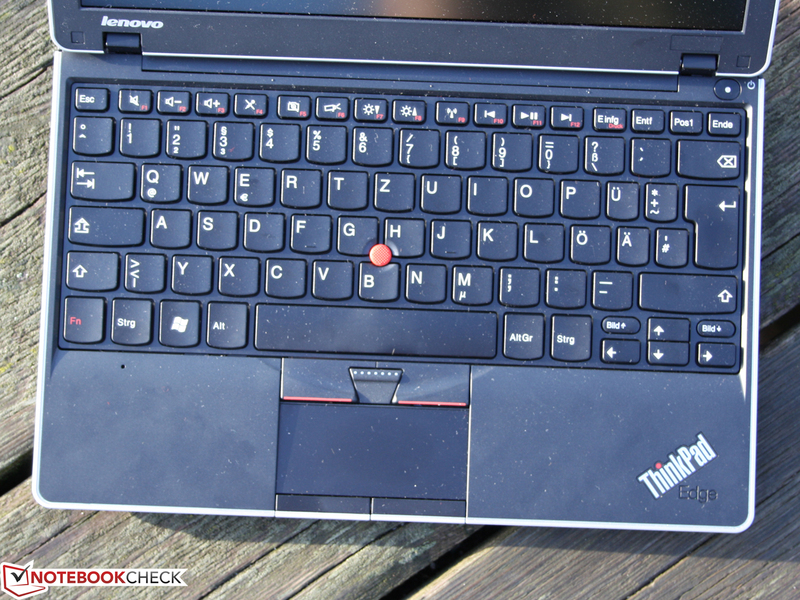 Keys, trackpoint and touchpad have the top rate feedback of the big (and expensive) business devices. The 11.6 inch (29.46 cm) screen from LG-Philips (model: LP116WH1-TLP1) has a resolution of 1366x768 pixels. This is a very high resolution for an 11.6 incher and allows us to work on a clearly arranged screen. 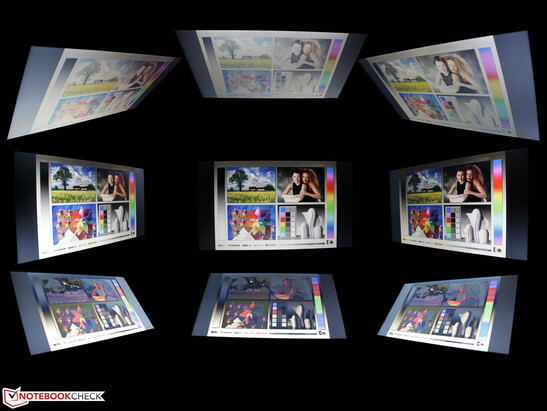 The TFT, with an aspect ratio of 16:9, has been AR coated. Thus, the manufacturer has followed the wish of many German customers whose reaction was restrained up to resentful about the glare type version. The measured contrast of 115:1 can only be called a weak attempt. Black hues aren't deep black and colors aren't radiant. The first Edge 11 glare type wasn't much better in this point: 198:1. Good contrasts with vivid colors start at 400:1. 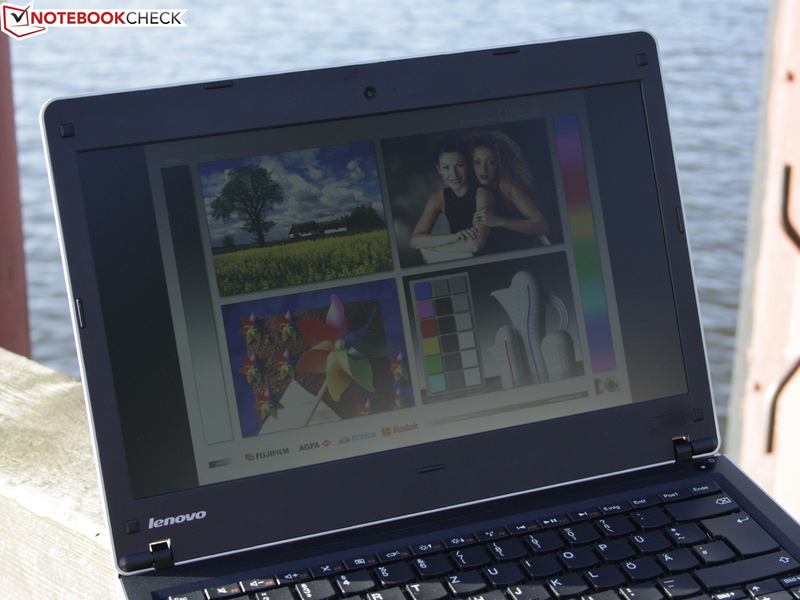 The color spectrum, which we compare with AdobeRGB, sRGB and the Vaio SA2Z9E 's screen (transparent), is very narrow. Professional needs are far from being met. However, this isn't a problem for the Edge because professionals won't likely edit pictures or lay out brochures on an 11.6 incher. The comparison with the Vaio SA2Z9E proves that even a luxury 13 inch model for 2380 euros doesn't necessarily have to have a significantly better color gamut. The screen's weak brightness of 175 cd/m2 awakes memories of the old ThinkPad times, as the laptops from the manufacturer came along with dark, 130 cd/m2 displays. It's not quite that bad. The brightness is perfectly suitable for indoors. The Edge reduces the brightness in battery mode (energy saving) and we only measure 164 cd/m2 instead of 177 in the center. The LG-Philips screen is only very good in regard to brightness distribution: A homogeneous light distribution of 88%. The warm summer will likely still show up this year and the user will want to go out in the sun with his new Edge mite. The matt screen fits to this scenario, but the reduced brightness upsets these plans. The desktop remains dim depending on the viewing position to the sun. It still works best when the sun doesn't directly shine on the screen (picture 3). The horizontal viewing angles are feasible, but very narrow as in so many notebooks. We can see colors without falsifications up to about a deviation of 45 degrees from the center position. They first invert slight up to clearly beyond that. However, script can still be read up to about 80 degrees. The viewing angles are tighter when we look downward (vertically). Script can only be read well up to 35 degrees and colors start to falsify at about 20 degrees. Our test device its the new Edge 11 AMD standard configuration on the market. The Athlon II Neo X2 K345 (1.40 GHz, Champlain) replaces the somewhat lower clocked K325 (1.3 GHz, Geneva) from the same type. Apart from the clock rate, there is no difference between the CPUs. The level 2 cache is still small with 256 KB and the TDP of 12 watts is still suitable for subnotebooks (45 nm structure width). The incorporated GPU, AMD Radeon HD 4225 (up to 256 MB shared memory) is maintained and has the same clock rates as in the K325-Edge (core clock: 382 MHz, memory clock: 2775 MHz). The system is accompanied by a 4096 MB DDR3 memory and a slow rotating 320 GB hard disk from Western Digital. The CPU benchmarks barely measure the change from K325 to K345 and are therefore actually irrelevant for the consumer. The K325 (0.7 points) and the K345 (0.8) are very close in Cinebench R11.5 CPU 64 bit. Wprime 1024 shows that the difference is almost negligible (fewer seconds is faster): K325 (1884s) and K345 (1742s). Another test, Cinebench R10, confirms this: K325 (2518 points) and K345 (2787). Thus, the difference is around 10-12%. The Intel alternative runs overall faster through these tests. The i3-380UM (2x1.33GHz) manages 1.1 points (R11.5), 1329 seconds (Wprime) and 4266 points (R10) in the synthetic CPU benchmarks. The speed advantage with i3 thus equals 24 to 41%. It is primarily Hyper Threading (calculating on four threads on two cores) that brings advantages in multi-tasking. The PCMark Vantage test adds up the overall performance and rates the interplay of CPU, Radeon graphics, RAM and HDD. 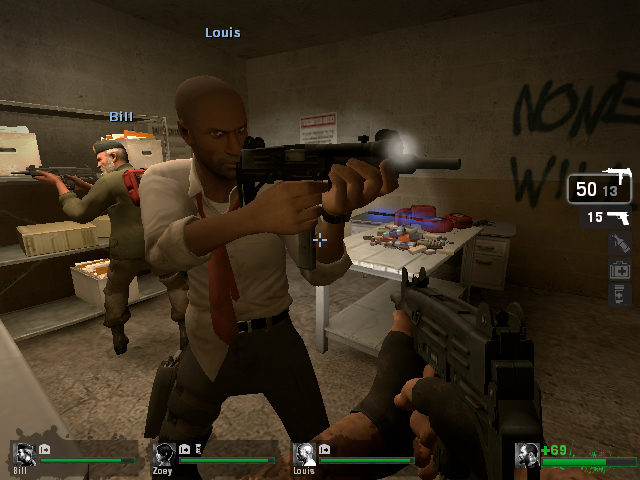 The graphics performance plays an inferior role, but the hard disk's speed has a high impact. The Edge achieves a total score of 2409 points. 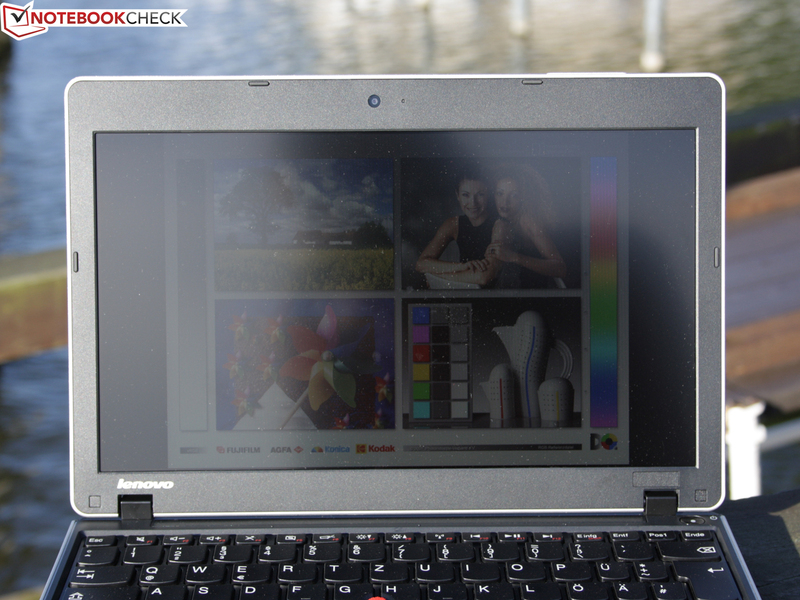 Thus, the Edge clearly surpasses a Lenovo X100e with older hardware (Athlon Neo MV-40, HD3200, 1387 points). The K325 Edge is on a par with 2486 points. The Edge's Intel version can set itself apart clearly from this with 3619 points. Potential buyers ought to consider the following should the ThinkPad Edge E125 (11 inch) or X120e with the Fusion APU, E-350 "Brazos", be launched onto the German market: Fusion will speed up certain applications with the faster Radeon HD 6310 (compared to HD 4225), but the overall application performance could be lower. For example, the HP Pavilion dm1-3180eg with this APU only accomplishes 2277 points in PCMark Vantage. 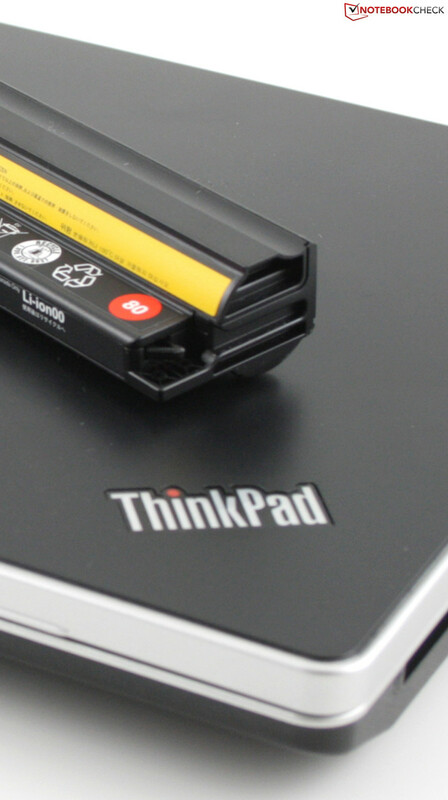 First the brand new PCMark 7 gives the HD 6310 a bit more credit like the Lenovo ThinkPad X120e shows: 1101 points versus 1003 points of our Edge 11 K345. The Edge reaches 980 points in 3DMark2006. Thus, the Radeon HD 4225 is clearly inferior to a HD 6310 (3588, Acer Aspire 5253) of future Edge laptops with Fusion APU E-350. 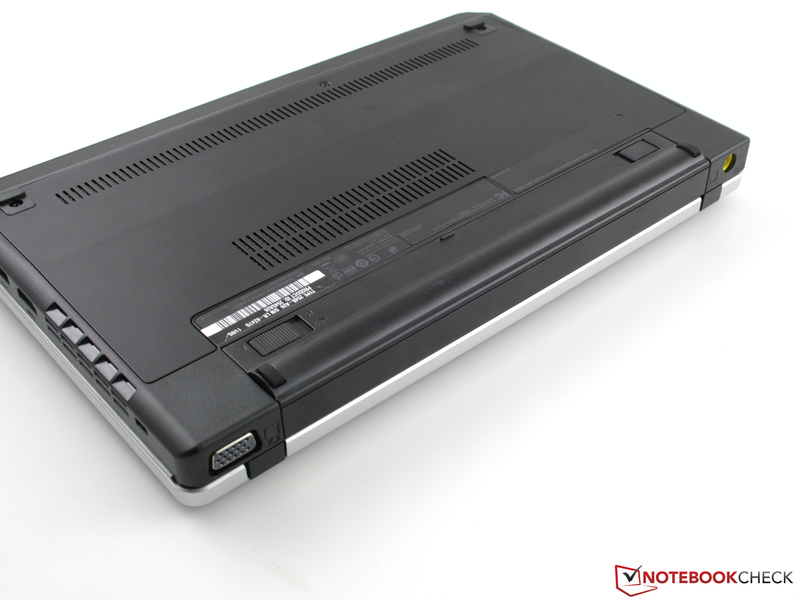 Even the HD netbooks with the C-50 APU partly have more 3D power: Aspire One 521 (1046 3DMarks06), Asus Eee PC 1015PN (1155), Asus Eee PC 1015B (1411) and Aspire One 722 (1460). 3DMark 11 and Unigine Heaven couldn't be executed due to the lack of DirectX 11. The installed HD 4225 only manages 2.85 points in Cinebench R11.5's OpenGL test. All previous Fusion notebooks were clearly in the lead with 7.5 points (E-350) and 5.0 points (C-50) here. Lenovo no longer relies on Hitachi but on Western Digital for the mass memory. However, the capacity of 320 GB stays the same. The HDTune rates of the 5400 rpm HDD turn out fairly low, as expected. The average in sequential read is 70 MB/s. CrystalDiskMark uses a different routine and determines a more comprehensive picture about the through puts during the read/write of small and large data packages (92 MB/s). The low figures in read and write performance of random 4K blocks is striking (0.48 / 1.0 MB/s). This slowness is however typical for rotating HDDs because the write/read heads have to first be placed in position mechanically every time. This takes a lot of time and can only be remedied by an SSD. 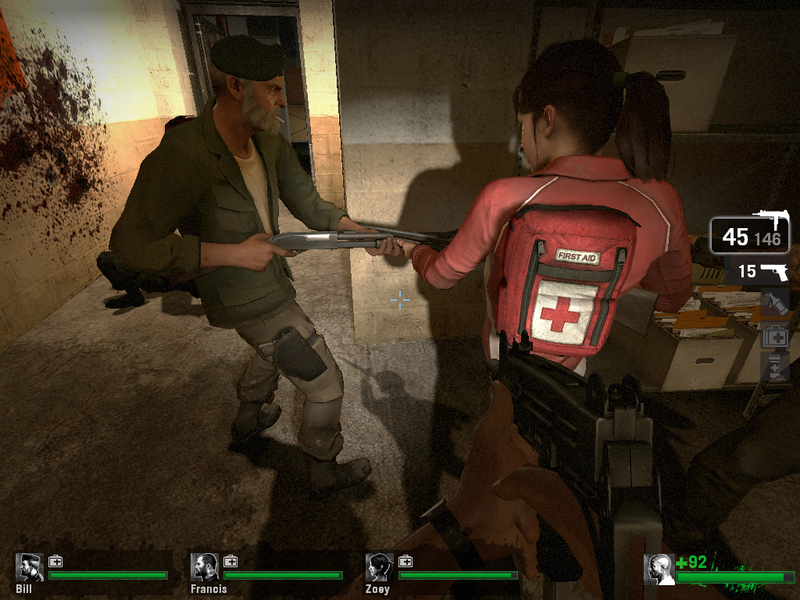 There are better entry level cores than the HD 4225 for gaming, which we prove with a random test with Left4Dead. Zombie hunting runs even slower on the Edge 11 than on the 13.3 inch Edge with a higher clocked K685. It's only smooth in the utmost minimum resolution of 640x480 pixels (low details). This results in a just still smooth game play of 29 fps (34 fps, Edge 13 K685). The frames cave-in in high details with 1024x768: 12 fps (13 fps, Edge 13 K685). Short: The Edge 11 K345 isn't suitable for gaming. If you'd like to add "a bit" more 3D to your work life, you should take a look at the upcoming Edge devices with a Fusion E-350 (11.6 inch: Lenovo ThinkPad X120e / X121e, Edge E125). Something that only weighs 1.35 kilograms and is as small as the Edge 11 should be nice and quiet in the perfect case. The Edge proves to be an example. The fan rotates with a maximum noise level of 33.2 dB (A) while surfing, writing emails and typing. Regretfully, the fan never shuts off completely. The level strangely didn't increase, but rather remained at 33.2 dB (A) and rotated constantly when the K345 along with its HD 4225 was put under load in our processor benchmarks. The level is equal in singular CPU load (Prime95, Cinebench test, etc.). The work surface never gets warmer than 33 degrees in office mode. The bottom also shows evenly distributed, low temperatures with an average of 31 degrees. The picture reverses during load (stress test) and brings minus points. We measure 39 degrees over the top's entire surface. Selectively, 43 degrees are shown on the display. We can no longer unhesitatingly place the 11.6 incher on the lap because we selectively measure 46 degrees and an average of 43 degrees here. It appears that the slow rotating (quiet) fan could discharge a bit more waste heat out of the chassis. However, the fan sinks are set up for a low operating noise (33 dB (A)). Nevertheless, it should be mentioned that we can only generate this high temperature on the bottom in an artificial, several hour stress test where both CPU and GPU run with 100% capacity. Real tasks will hardly ever cause constant 100 percent load. The high idle power consumption (14 to 16 watts) is not typical for a small subnotebook - at least not when Intel's or AMD's APU models are compared. The Sony Vaio VPC-YA1V9E/B is satisfied with 7.6 to 10 watts (Core i3-380UM). Its smaller brother, the Vaio VPC-YB1S1E/S, joins in with 8 to 11 watts. The Edge 11's Intel version is happy with 9 to 12.6 watts. The effective power increases up to 31.5 watts when the 11.6 incher has to give everything in the stress test. The battery was removed for the measurements. The 65 watt adapter is adequately sized for the power requirement and is handy and light at the same time (244 grams). 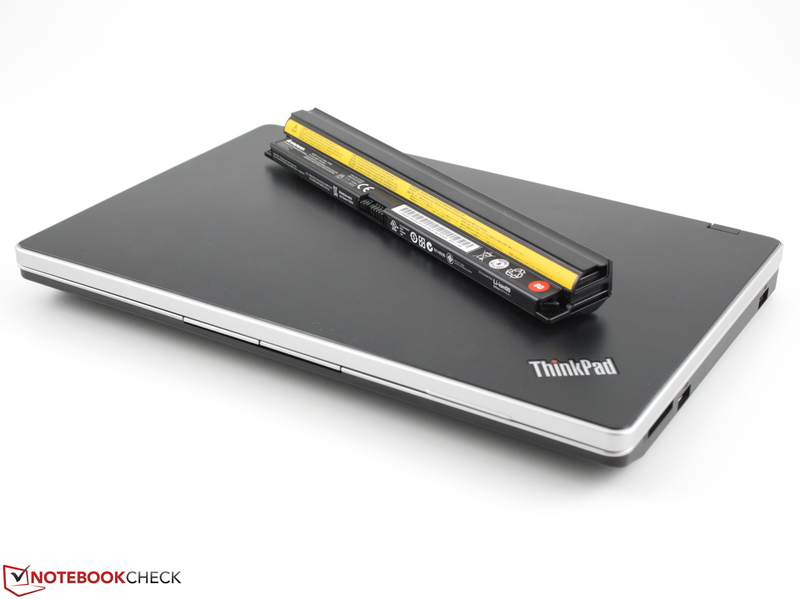 The Edge 11 can't meet the expectations placed on a mobile subnotebook in any way in terms of battery runtimes. The 11.6 incher only reaches 2:51 hours (171 minutes) in WLAN surfing with a brightness of 100 cd/m2. The Edge 11 only lasts for 3:11 hours (191 minutes) without load, so in idle with disabled wireless and lowest brightness. The assessment is sobering since the predecessor, Edge 11 K325, managed 5:19 hours and the Intel version (i3-380UM) managed 4:45 hours (WLAN test). However, this isn't AMD's fault. It's simply due to the weak 32Wh, 2800 mAh battery. Fortunately, there is a 6 cell substitute battery (4800 mAh, protrudes) for affordable 50 euros. Nevertheless, this low-end battery remains to be impertinent. You'll drain the battery within no time if you put the battery under a constant CPU load of 100 percent (BatteryEater Classic generated, energy savings mode high performance). This means 1:17 hours in the case of the 11.6 incher. The K325 predecessor lasted for 2:21 hours here. 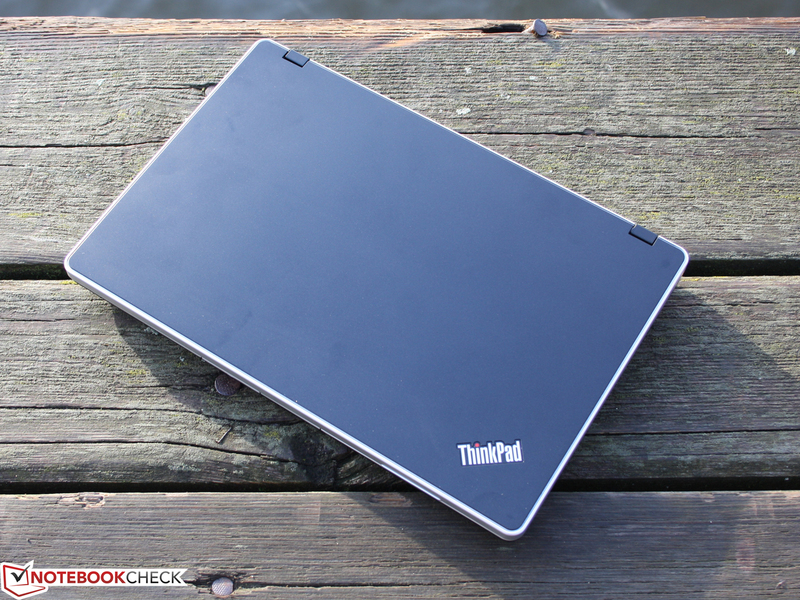 The ThinkPad Edge 11 (665D830) is priced aggressively, starting at 369 euros. The 11.6 incher serves with a slim, but sufficient performance for simple office and Web applications for this. The expensive Intel version (i3-380UM) is nevertheless still a lot faster, which has to be paid for with the higher price (starts at 536 euros). The matt WXGA display is a pleasing feature at first glance. Unfortunately, it only shines very weak in mains operation (177 cd/m2) and battery mode (164 cd/m2). This is enough for the office, but it's too dark for the sun. There's not much to complain about in terms of input devices and stability. The case could be more rigid, but on the other hand the hinges and lid are extremely stiff. The noise of 33 dB (A) during load is remarkably low and the fan likes to turn itself off occasionally (idle). In return, the chassis heats up considerably, especially during load. A painful blow however comes in the way of the weak battery. The 32 watt hours are just enough for 2:51 hours of WLAN surfing with low load. This borders on audacity in view of the over five hour runtime given by both the predecessor and the phasing out 2545-24G (K325) model. 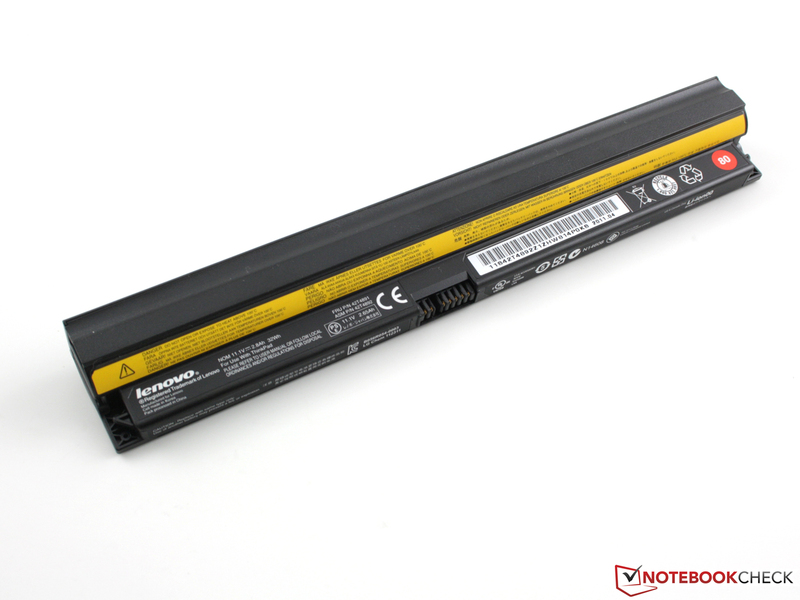 Basically, the buyer makes a turn for the worse with the ThinkPad Edge 11 Black Smooth (Athlon K345) because the battery life has been halved in contrast to the predecessor (Athlon K325). This is simply due to the battery's low capacity. Mobility fans are practically forced to by the 4800 mAh replacement battery for about 52 euros (protrudes, see Edge 11 K325). The ThinkPad Edge 11 is already available for starting at 349 euros without an operating system. 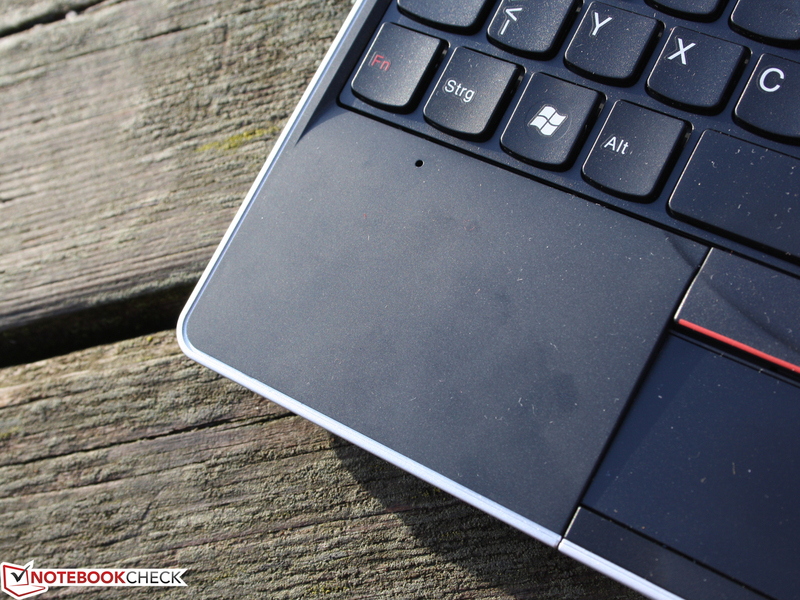 ThinkPad Edge 11: This shouldn't ever be equipment for a mobile mini notebook. 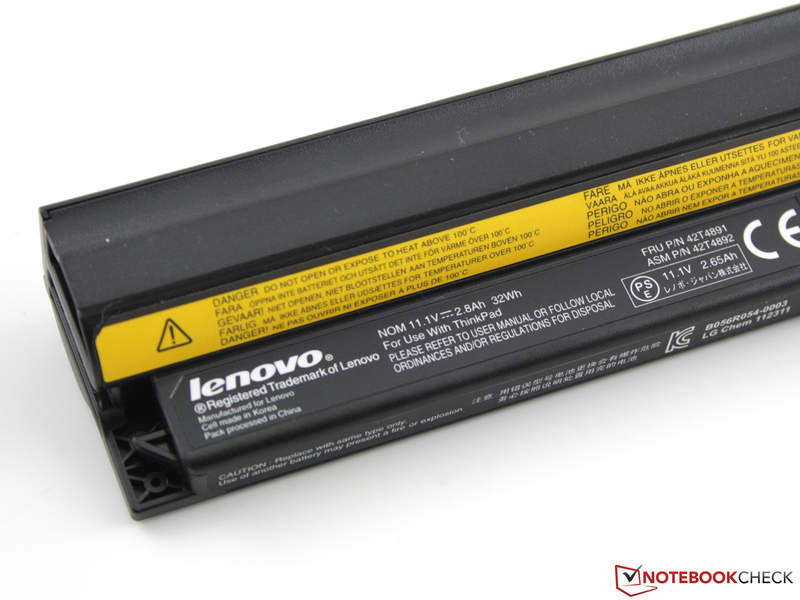 ThinkPad Edge 11: The 32 watt hour battery only supplies a runtime of 2:30 hours. 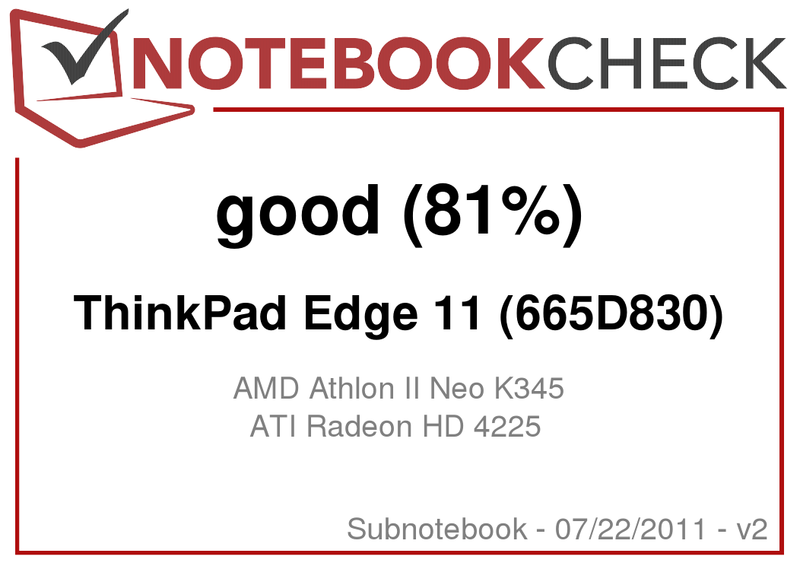 ThinkPad Edge 11: The Athlon II Neo X2 K345 lags behind the Core i3-380UM. 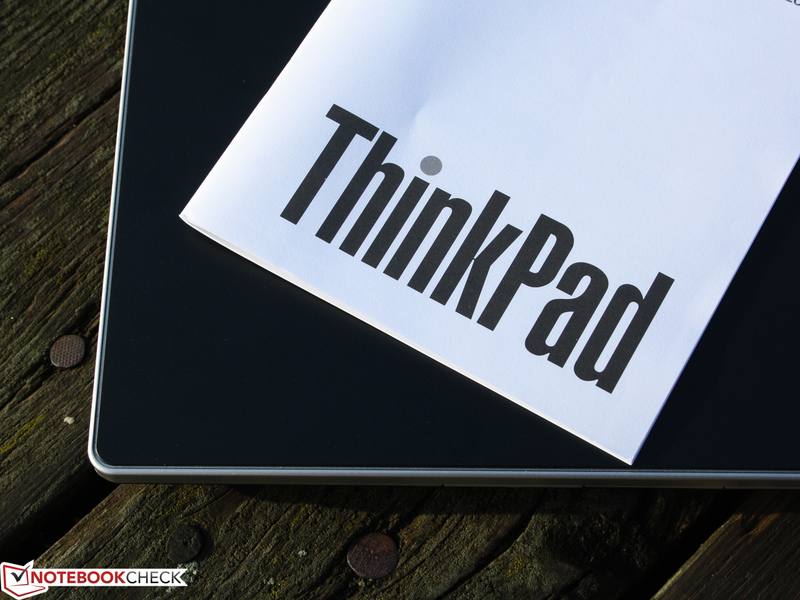 ThinkPad Edge 11: The input devices have a very good feedback not yet experienced in this price range. This gives the Edge 11 a good grip, leaves few fingerprints and makes an everyday suitable impression. The lid and wrist-rest are equipped with this. Our Edge 11's name "Black Smooth" refers to the velvety, non-slip surface. The keyboard and touchpad are high quality and a pleasure, though. The 6 cell replacement battery is fortunately comparatively inexpensive with just over 50 euros. but the energy is only sufficient for scanty 2:30 hours. The weak 32 watt hour battery is almost an impertinence. Compromises have been made in stability, performance and battery life for the price. Too little for ThinkPad quality? You're right. 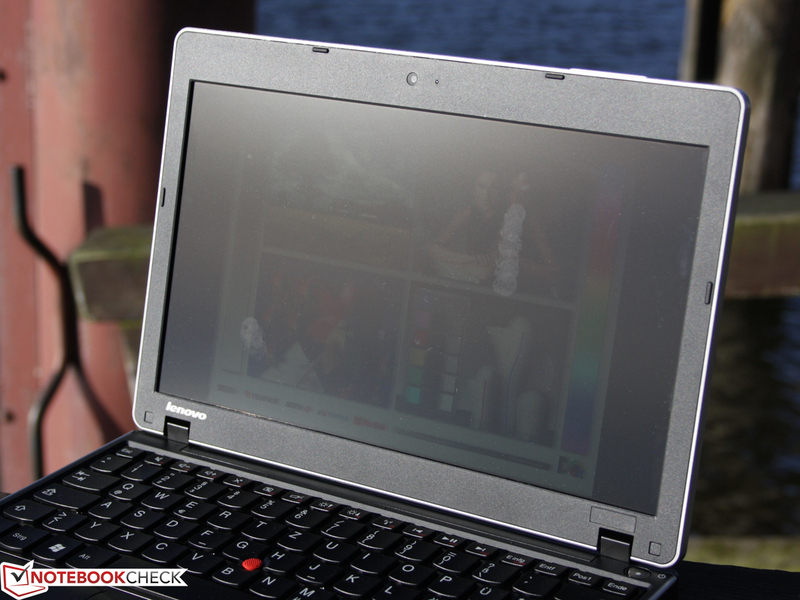 ThinkPad Edge 11: The display is anti-glare, but too dark in the sun. Handy, matt and top input devices. A strong battery and a bright TFT. The new standard battery's runtime is an impertinence. This artificially ensures a battery life disadvantage compared to the Intel version.